In order to have a truly amazing and safe security system, you need to have multiple parts. 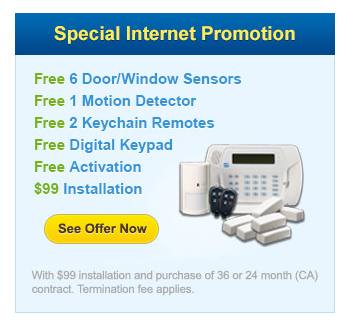 Motion detectors, door and window sensors, driveway alarms, etc. are all necessary. There is one piece of a security system that you must have and they are security cameras. Security systems for the home are not complete without security cameras, and this article will tell you why. Have you ever contemplated stealing something from a department store? While most people do not steal because it is wrong, others do not do it because of the fear of being caught. With so many security cameras around they are worried that someone will either see them in the act or watch the video later and hunt them down. The same concept applies to your home. The main reason to add security cameras is not so you can catch a criminal in the act and give the police evidence that can help them find the criminal but to scare the criminal away in the first place. Almost the entire battle of home security is about keeping the burglar from entering your home. The biggest thing burglars look for when choosing a house they are considering breaking into is a house that will be easy for them to get into and out with very little risk. Cameras are a big risk and most burglars would turn away just at the sight of them. Of course, if a burglar were to enter your home you do have the advantage of having footage of the break in that you can turn over to the police. Every little bit of detail you are able to tell the officers looking into your case will get them that much closer to finding the guy who burglarized you, and the faster they find the person the faster you get your stuff back. There are a lot of other practical uses of security cameras outside of just protecting your home. If you have kids that like to play in the yard you can keep an eye on them from inside your house using the security cameras. Ever wonder who is pulling up in your driveway? Look at the security camera and you can find out who it is before they are even there. What you chose to use your security cameras for is your business, but there is no doubt that installing them is the absolute right decision. 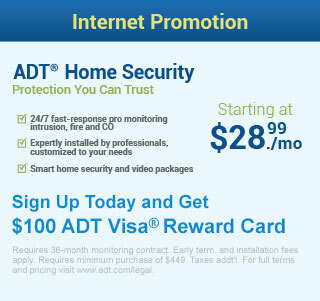 Security systems for home need security cameras because they are an essential part of deterring or catching a burglar.